While it will leave the town and won’t be opening up as a diner, at least we can wipe the sweat off our collective brow that it will at least not end up in a landfill. Phew! 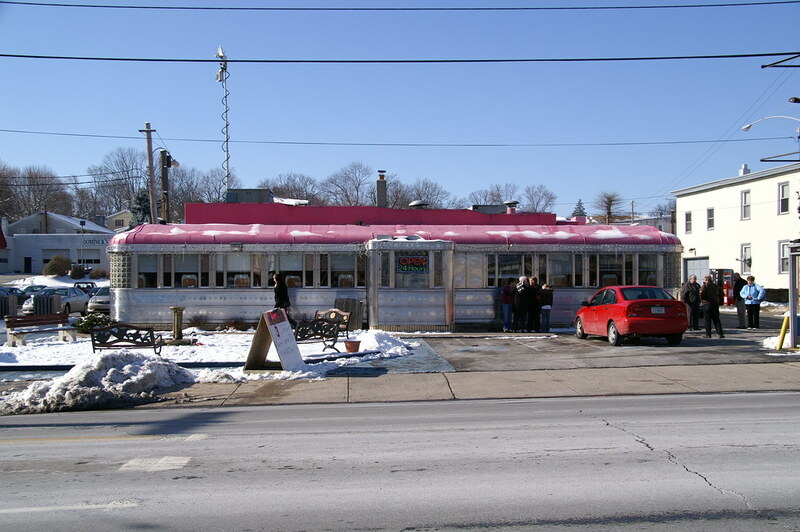 A classic stainless steel vintage diner in Phoenixville Pennsylvania is on the market (again) with the hopes that it will find its forever home instead of demolition. 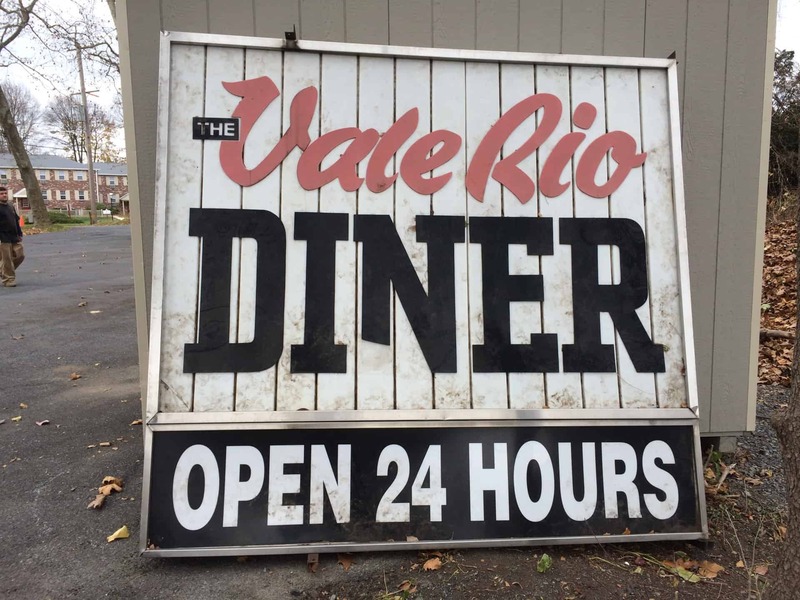 60 years after it opened in 1948, the Vale-Rio diner was closed to make way for a chain drugstore. 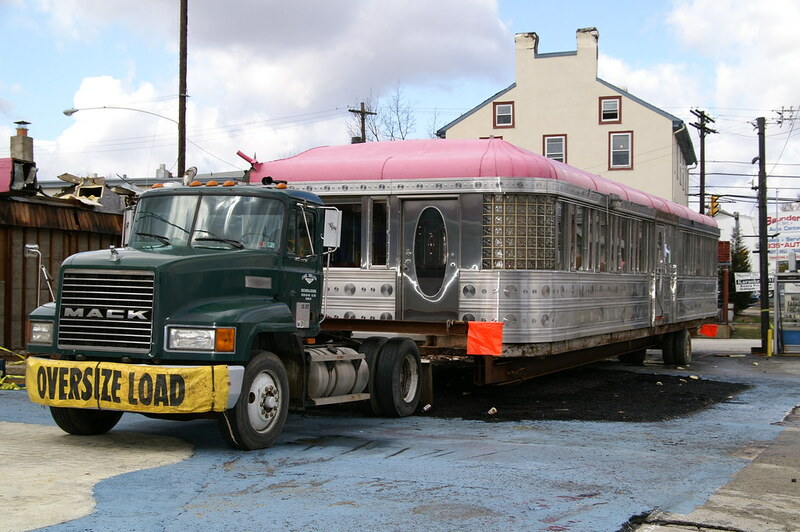 The diner was moved to 27 Nutt Road in Phoenixville, the location of Francis J. Puleo’s realty office, where it has been stored since 2008. Puleo says that while the diner has been offered for sale before, he’s now willing to sell the diner for $30,000. He’s also willing to help finance for the right buyer, as well as provide a list of trucking companies able to move the diner. While this price is almost 85% less than its 2010 eBay offering price of $225,000, Puleo says that now he is simply hoping to get the money out of the diner that he put into moving it, and to get it off of his property within the next few months.  “I’d love to see it sold to someone who could re-open it, but at this point, if I am not able to find a buyer soon, I may have to scrap it.” Puleo reports. Built by the Paramount Dining Car company of Haledon New Jersey, the Vale-Rio was located at the intersection of Bridge Street and Nutt Road. Its unusual name was a play on the original owner’s last name of Valerio. 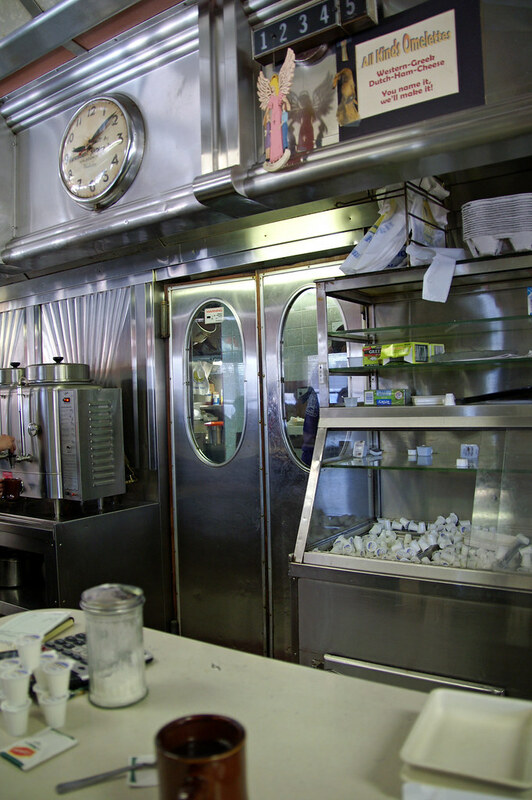 The diner is one of only 4 remaining Paramount diners with rounded glass block corners and the distinctive round disc shape pressed into the stainless steel exterior skin of the diner. The others are the 11th Street Diner in Miami Beach FL,West Bay Diner in Grand Marais MI, and the sadly closed Comet Diner in Hartford, CT.
With seating for approximately 90 guests, the formica counter, swivel stools, booths and tile floor are intact, and the menu boards above the stainless backsplashes still advertise daily specials. 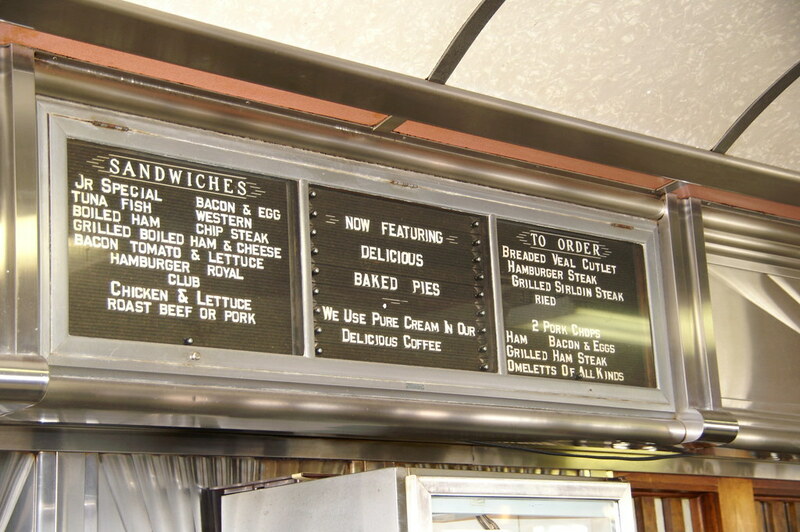 Also included in the sale of the diner are some interesting artifacts from the diner’s history, including the large double-sided diner sign on display at the diner. Also, while it is not in usable condition because of the newer accessibility laws, the original stainless steel vestibule entrance will be included. Lastly, while it is currently in storage, Puleo has promised that the original diner clock advertising Paramount Dining Cars that once hung above the counter, is included in the diner sale. If you or someone you know is interested in purchasing the diner can call Francis Puleo directly at 610-715-1547. 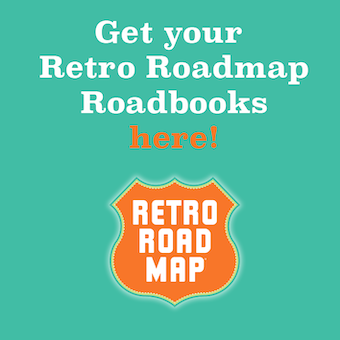 And don’t forget to let him know you heard about it on Retro Roadmap. 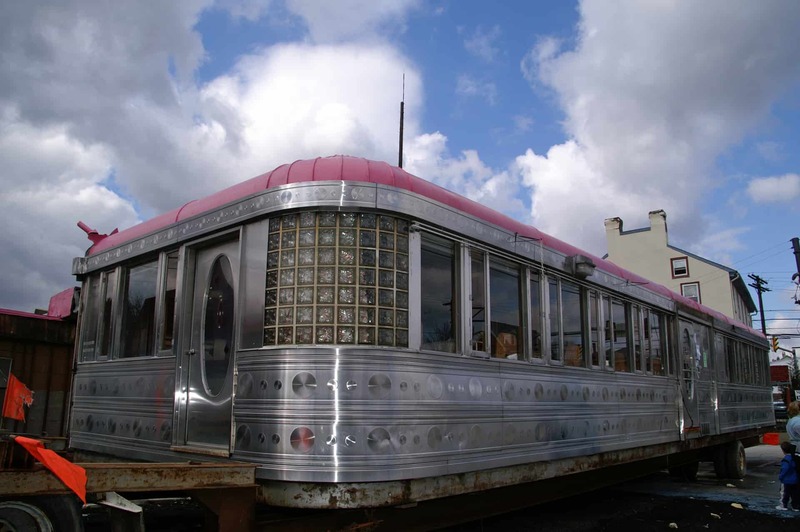 I’d love to be able to help give this once shiny diner a new lease on life! NextHouse Beautiful Features Mod Betty’s Picks for 5 & 10 Shopping! Please, Please don’t scrap it. We have lost too many diners already! I would buy it, but I have no place for it and don’t know how to cook! Give me a month to ask around, I know there is someone out there who would take it. Any update on the recent purchase? 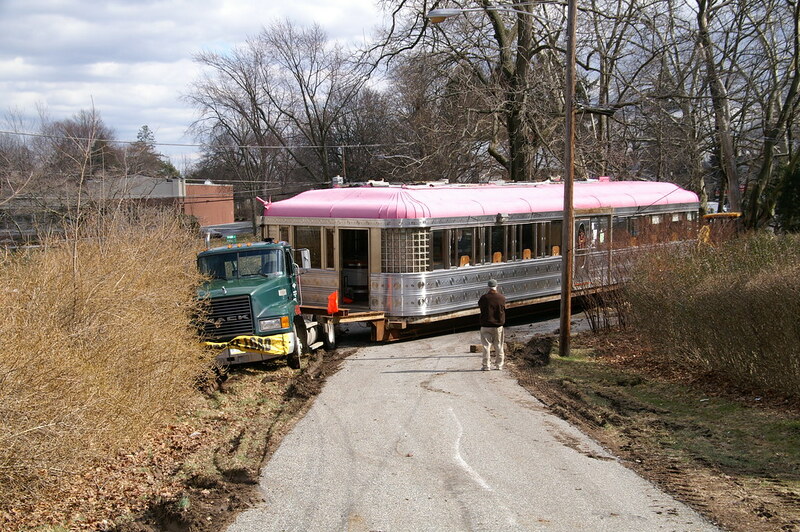 The diner hasn’t moved from its location on the Puleo property as of 3/22. Chris, I’m ready to put up a sum for it myself and keep it as a diner if the new buyer doesn’t follow through – the right location and a clear business model could make a world of difference. Carlos – I spoke to someone recently who was bidding on the project to move the diner, and he indicated it was to be moved by the end of this month (March) – I have not heard back from Francis Puleo, the diner’s current owner, about the specific date the diner is to be moved, but as soon as I learn that I will share the information with everyone. Thanks for your interest in the diner! We all want it to survive! I don’t know if you have been to the K-Diner in Northeast Philly. It is one of only three M. Mahoney style diners in the area. Unfortunately, it has recently closed and it appears that they are gutting it. The interior was not spectacular, kind of 80’s, but it always had that “old place smell” and a little of my grandmother’s kitchen. I will miss the diner as I really loved the atmosphere. It was owned by I believe Vietnamese or Korean folk who were always nice. The cashier station was plastered with pictures of patrons or their pets. They were only open for breakfast and lunch and closed at three. They made a decent ruben and creamed chipped beef on toast. I will try to poke around and see if I can find out any info on it. I hope it stays and reopens as a diner. By the way, there is another M. Mahoney diner just down the street, The Quaker Diner. They recently redid the outside very nicely. I was not inside prior to the re-do, but the inside is nice as well. I am not sure if they redid it or if it is origanal. Hello Cocoa – I had heard of the K-Diner and that is sad that it closed. It seems that many of the diners in Philly that I knew of for years are being either remodeled or closing entirely! I did not know about the Quaker diner – it looks nice from what I can tell from Google, but a little too modern for my tastes. Any update on the recent purchase? The diner hasn’t moved from its location on the Puleo property as of 3/22. Chris, I’m ready to put up a sum for it myself and keep it as a diner if the new buyer doesn’t follow through – the right location and business model could make a world of difference. 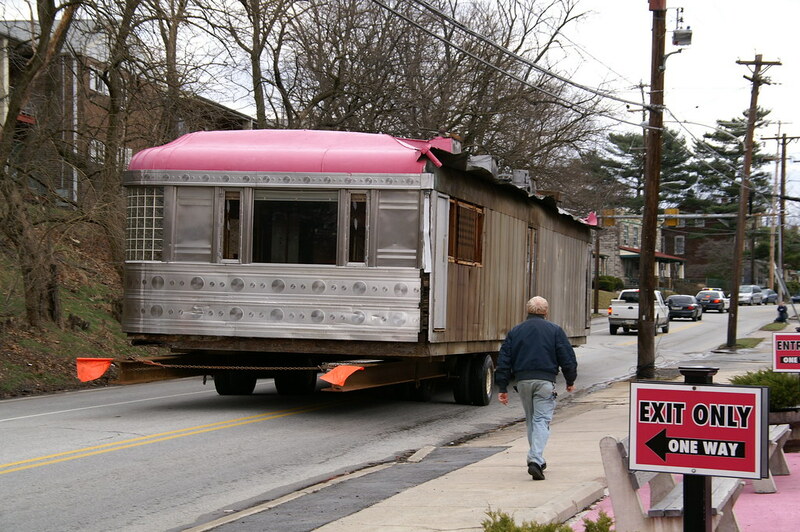 Hello Carlos – the diner is now gone from Phoenixville, hoping for the best! Hello Mike – as noted above, the diner was sold, and moved out of town. Hello Mike – as noted above, the diner was sold and moved to its new home.